I've had a bit of an unexpected break from blogging this week. I'm not quite sure what happened to be honest, I think I just got caught up in relaxing in the evenings and the weekend as I find I stress about blogging and YouTubing more than I should sometimes. A break always makes me feel guilty and I feel like I need to put some more energy back into blogging again so here I am! This was an outfit I wore a couple of weeks ago and it got lost somewhere along the way; I wasn't sure whether to share it but I thought why not! This is one of those dresses that I love to grab when I don't know what to wear because it's such a simple print and shape, but works really well. It's also rather apt because Dan and I went to the zoo at the weekend and I loved seeing the elephants! These white platform trainers I got from Primark are definitely not my usual style but I saw them and I just couldn't leave without them for some reason. I'm not sure how much wear I'll get out of them but I think they're cute for summer and for £8 I thought I'd give them a try. It's Cosmopoliton blog awards time again and I've never actually tried to get one before, but this year I'd quite like to give it a try. I'd quite like to be nominated in the Best Vlog category for my YouTube channel so if you enjoy watching my videos then I'd really appreciate it if you could click this link or click on the button in my side bar and give me a cheeky nomination. Unfortunately I don't think I quite fit under any of the other categories because I like to mix my blog up so much! I adore elephants! 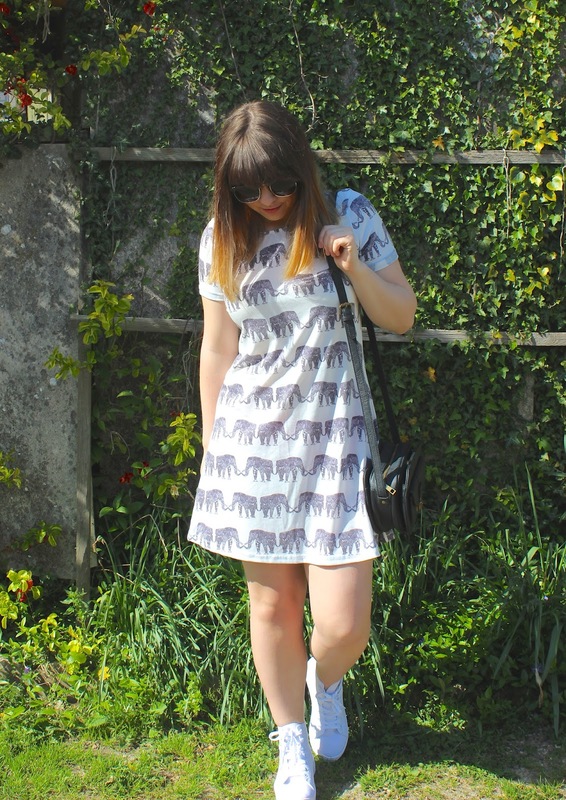 ASOS had a similar dress to this a while ago, but it's good to know that I can always fall back onto Romwe if my cravings for this dress come back, which they may well do considering that I've now seen how good it looks on you! Eek! You look great and a bit thinner in that dress- very flattering! Have you lost any weight? Either way, super cute. I love the print. 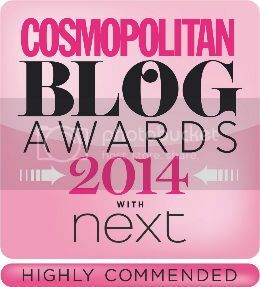 Good luck on the Cosmo blog awards! Where the hell is that sunshine coming from?! I've had nothing but rain for weeks! 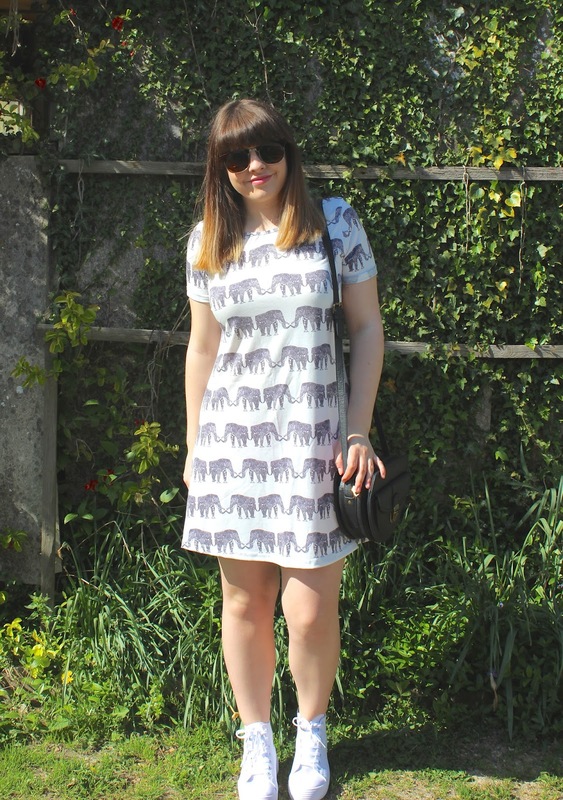 You look gorgeous, fab dress and shoes combo!